This week’s guest post comes from Grace Palmer, co-founder of Bristol literary evening Novel Nights, and answers the question, what does it take to organise and launch a successful literary event? 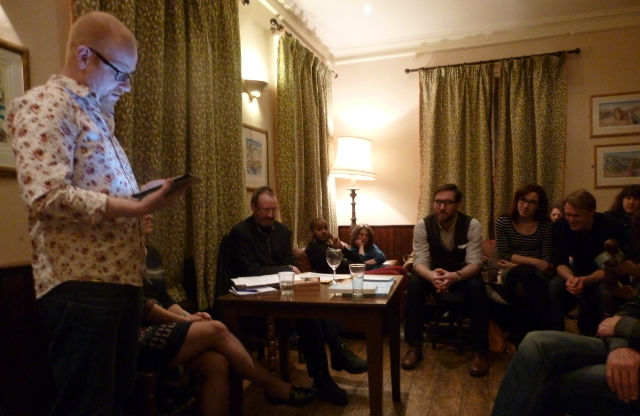 I’ve been running monthly Novel Nights in Bristol since 2013, and I think you need qualities of courage, energy and commitment to run a literary event. At the start you need courage and self-belief to launch a new event, and this is almost more important than having a good idea. Like a lot of people I’m full of good ideas; mine was to create an event where guest speakers share their writing knowledge or expertise and where writers’ work could be showcased. The idea lay dormant for a long time – organising a public event was too daunting. I decided to ‘trial’ out the event, with no expectation of success, just to see if I could. The beauty of this approach is that you can see what works and what can be improved. The first one was great fun; people loved it and I made brilliant writing contacts. It’s now a well-established Bristol literary event. Courage will help you continue with the event in the early days when you don’t know if you’ll even cover the cost of the speakers or venue hire, whether your audience will like it, or turn up. You need energy, or a group of trusted friends to help you, to sustain you and the event. Running events is hard work. You need to be well organised, look after your audience, create publicity, promote the event, chat on twitter and facebook, maintain a website, book speakers and so on. Phew! It helped that I’ve got a marketing background, but I’ve also made loads of mistakes along the way. For me, Novel Nights is a hobby I fit in around a full-time day job and my own writing, and it can be stressful. I think you have to love what you’re doing – even if you’re running an event as a business – as your integrity will shine through. I am keener on the end result than organising but you need to do both to be successful. Many times I’ve thought of giving up and this is where commitment comes in, to carry on going. You also need to keep the audience at the heart of what you do, and my philosophy is to keep improving everything. Having a good venue which supports you is key, and I’d recommend that you connect on-line with your audience – if they can tweet or blog about your event they will help to build excitement and a sense of community. Eventually the event becomes bigger than the organisers. At Novel Nights we’ve had some fantastic nights with Jane Shemilt, Alan Snow, Sarah Hilary, Anna Freeman, Nathan Filer, Cally Taylor, Sanjida O’Connell, literary agent, Juliet Pickering and, most recently, a wonderful Short Story Evening with some superb writers. Getting good quality writers who are good in front of an audience is key to any literary event I think. Likewise with readings, it’s good to keep things tight and the quality high, to create a buzz in the room. Good luck. Hope to see you at Novel Nights. The next Novel Nights is Comic Writing and Social Media for writers with Nikesh Shukla, and will be at the Lansdown, Bristol, on April 16th 2015. Grace Palmer recently sent her first novel, The Wish Bone, off to literary agents. Meanwhile the day-job as a press officer continues; writing stories about scientific research which have been published in national media. Grace studied journalism and has a BA in literature and creative writing. 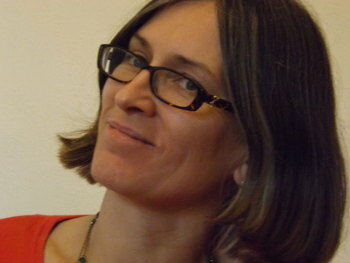 She organises Novel Nights in Bristol, which supports emerging writers and showcases the work of experienced novelists. This entry was posted in Writing tools and tagged Grace Palmer, How To, literary events, Novel Nights by Judy. Bookmark the permalink.